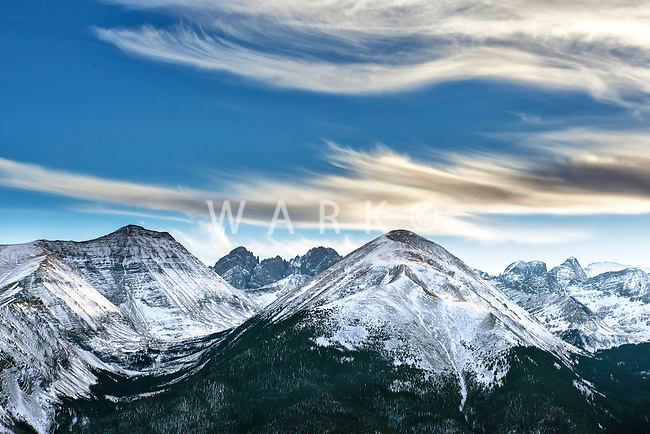 Snow capped mountain peaks with wispy clouds. Sangre de Cristo range, Colorado. Feb 2014.